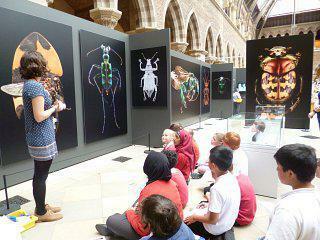 Classes 5/6JP & TK visited the Natural History Museum in Oxford to learn all about creepy crawlies. They met author M.G. Leonard to find out how she was inspired to write her novel 'Beetle Boy' as well as visit an art exhibition on bees, handle cockroaches & giant millipedes, and meet a giant dung-beetle who taught them how important insects are to the world's ecosystems!